The story documents how the online brokerage company tradeMONSTER created a custom mobile app and the success gleaned from this initiative. Also covered are the five things to help assure solid ROI from a mobile application strategy. 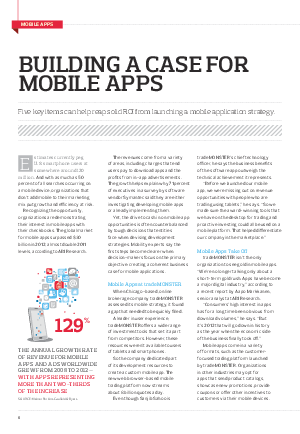 A sidebar featuring CDW's Total Mobility Management Services rounds out the article.